Himalayan salt blocks are mined from ancient mineral deposits. They are harder than modern manufactured blocks so they last longer, and they have a range of naturally occurring minerals within them. They can even be kept outdoors as they will not readily dissolve or break up. Horses often prefer them to artificial blocks. Please note: Each salt lick is supplied without a rope. Each salt block is sold without a holder (sold separately). 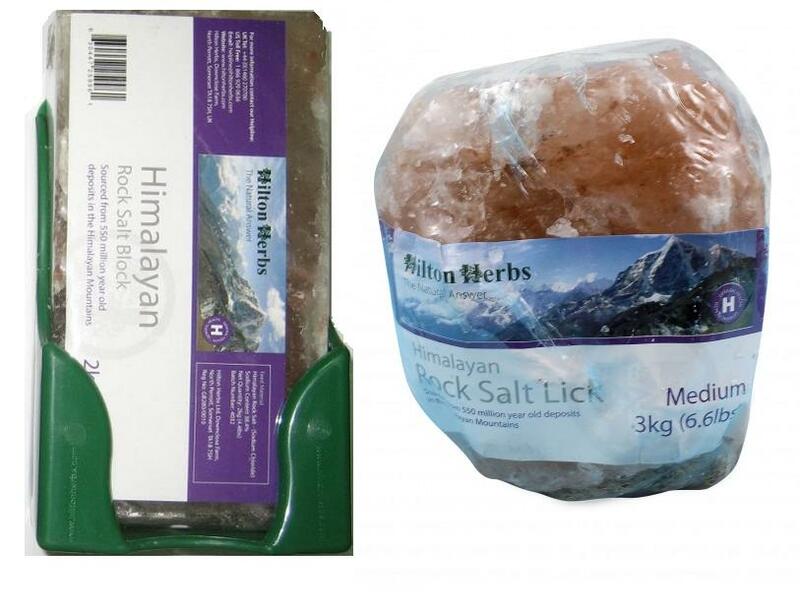 Below are some recent questions we've received regarding Hilton Herbs Himalayan Salt Licks, including answers from our team. Which salt block fits the holder? Which salt block do i need to purchase to fit the block holder?? The 2kg block perfectly fits the block holder.